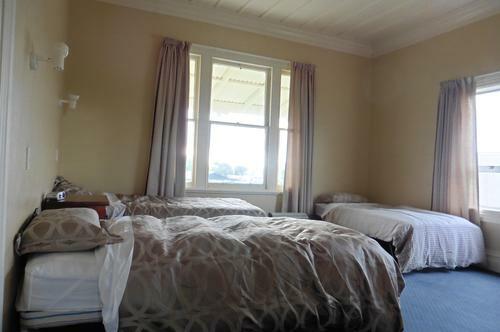 This room can occupy two people either sharing the queen double bed, or one in the queen double and the other person in the king single. 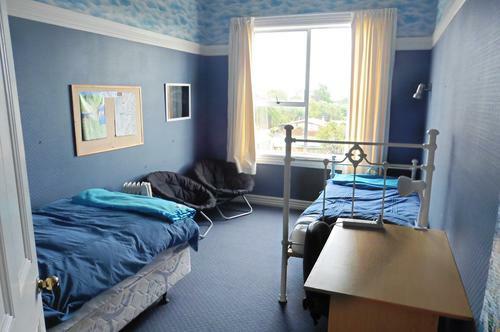 It is a very spacious room. It has two lounge chairs for relaxing and looking out at the peaceful views. This room has its own dedicated bathroom with spa bath/shower. 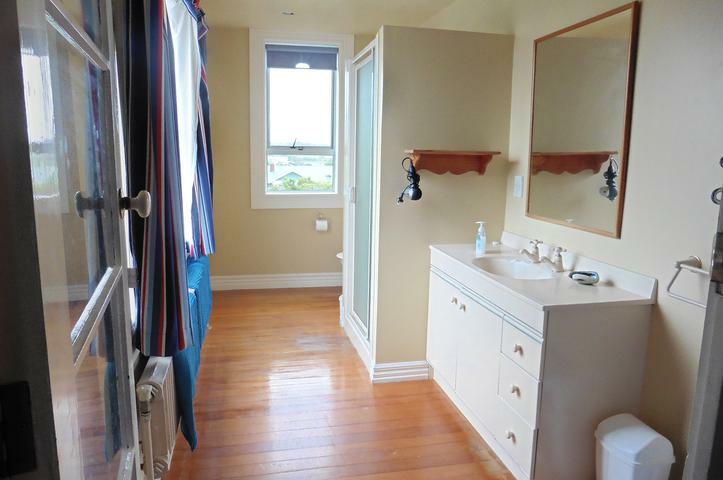 It is not an ensuite though. There is plenty of free off-street parking. Guests receive a complementary non-cooked breakfast. 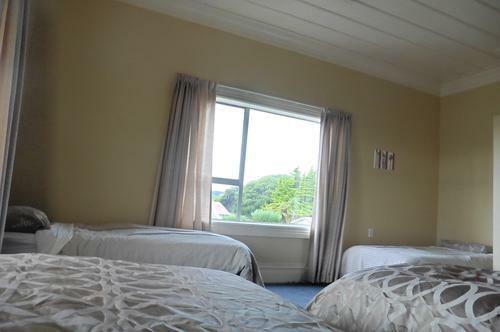 This room is filled with light and has views of Mt Cook and the Hokitika river mouth. The occupants of this room have their own dedicated bathroom. It is not an ensuite but is for their exclusive use! 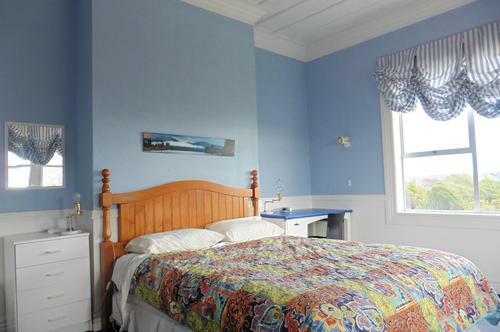 The room has a Queen double bed, two lounge chairs and a desk. There is free off-street parking. A non-cooked breakfast is complimentary. All guests share a lounge and dining room. A.C.E Accommodation is a two storey, 100 year old villa. 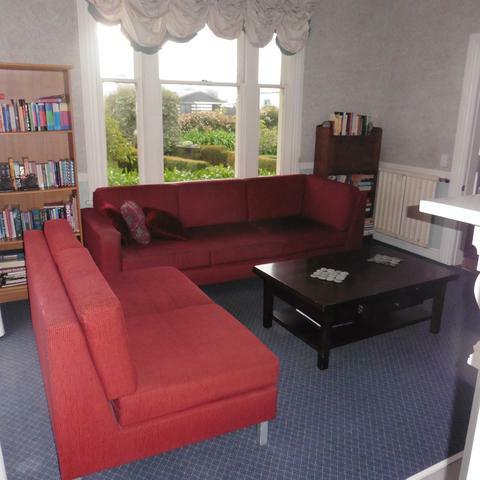 It is a ten minute walk to town. What do we offer? 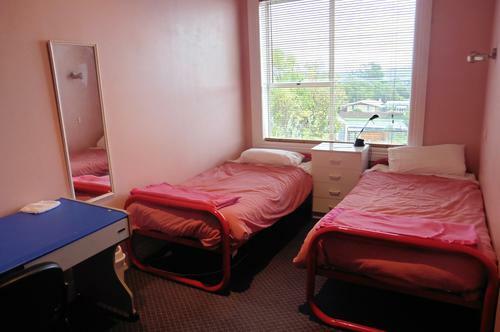 A cheap affordable, comfortable and enjoyable stay. We offer complimentary continental breakfast and complimentary unlimited WiFi. Hokitika has a great range of quality cafes and restaurants, suiting all tastes and pockets. We have no cooking facilities. 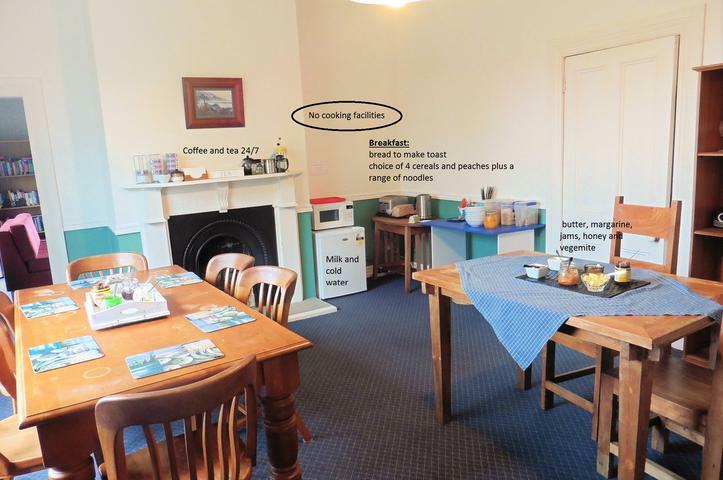 No cooking facilities but dining room, lounge, complimentary 24/7 tea/coffee, DVD player and internet connected TV. A.C.E. 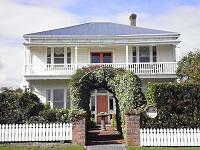 Accommodation is less than 1 km from the centre of Hokitika. By prior arrangement I offer to pick you up and return you to the bus and airport. This service is free. No cooking facilities other than microwave, kettle and toaster. However plates and eating knives. forks and spoons are provided along with milk, sugar, coffee and tea. Full charge, 24 hours PRIOR TO arrival day.